Now that round 1 at Daytona is over, it is time to start preparing for Round 2 at Watkins Glen. If you are new to the series, check out the original post, where you can read up on the rules and sign up. Or, if you already know the plan and just need to sign up, click here to go straight to the sign up sheet. Now, many of you have asked and even more are probably curious about BoP for this round. At the time of this writing, BoP re-balancing is still underway. I’m very early into it so I can’t even really say what cars are expected to get changed. If I had to guess, I’d say low displacement cars will lose a little power, but beyond that I don’t know. BoP will be finalized a week before the race at the latest, so keep an eye out for updates from me. I can say, however, that I am adding 2 new cars to the GT class: the 1967 Nissan R380 II and the 1967 Volvo 123 GT. I will have preliminary builds for the cars up soon, though those builds may change with the rest of the BoP. In the meantime, test with the builds that are currently posted. 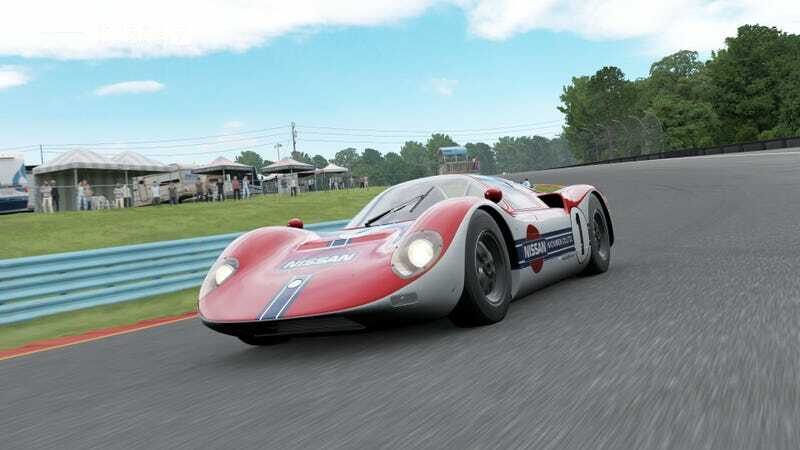 Also, keep an eye out at the start of February, as another car pack will likely drop, hopefully with more eligible cars (turnt 10 plz gib Porsche 917). As for the date of the race, the poll with the time options is below. This time around, I have 13 different time options, so hopefully one or two will work for most of us. However, for some of the dates I will need a lobby host as I will be at school, where my WiFi is legendarily terrible. That being said, I think there are a ton of people who have signed up that can host races.